The third season of Durrells finished airing on May 6, 2018. For those who are wondering whether the show has been renewed for another season, I have some good news. The show has been renewed for a fourth season but, there hasn’t been any news about the release date. It seems that the fourth season of Durrells will start airing in spring 2019. The fourth season will be shorter than the third season. It will have just six episodes which are two less than the third season’s count of eight episodes. The fourth season will see Keeley Hawes returning as Louisa Durrell. 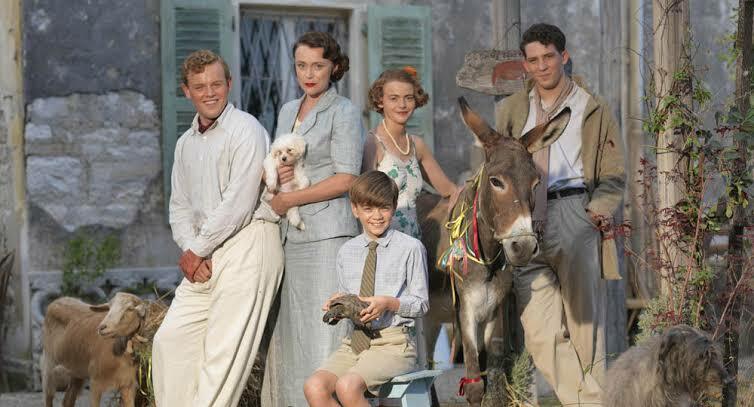 Josh O’Connor as Larry Durrell, Daisy Waterstone as Margo, Callum Woodhouse as Leslie and Milo Parker as Gerry. Alexis Georgoulis will return as Spiros Halikiopoulos. The fourth season will see the show picking up from the events of the finale of the third season. Louisa and Spiros believed that they could finally begin a new life after Spiros’ wife had left him. However, their joy was short-lived when Spiros’ wife returned. This problem will definitely take the center stage in the upcoming episodes. It will be interesting to see how Spiros manages to deal with the terrible situation that has arisen in front of him. The show has a rating of 8 on IMDB and a rating of 92% on Rotten Tomatoes. The Durrells is an awesome show, and if you enjoy British humor, then I would definitely recommend trying it out. It was decided while the show was renewed that the filming will start later in 2018, which means the show would be well deep in filming. However, there is no copper-bottomed news whether the shooting started as per the schedule, or about the progress. We assume that the shooting might have been undergone as decided and would be in the last phase. This is all we know till date, but we will keep you posted with more details at OtakuKart! Previous articleHomeland Season 8 Delayed: When Will It Release?